SEÑOR PRESIDENTE DE LA ASAMBLEA MUNICIPAL DE SAN JUAN, MIEMBROS DE ESTE DIGNO CUERPO, DISTINGUIDOS INVITADOS, SEÑORAS Y SEÑORES, ME HONRAN CON ESTA INVITACION PARA QUE ME DIRIJA A USTEDES CON MOTIVO DEL SEPTUAGESIMO-TERCER ANIVERSARIO DE LA CONCESION DE LA CIUDADANIA AMERICANA A LOS PUERTORRIQUEÑOS. NO HAY DUDA DE QUE ESTE EVENTO MERECE NUESTRA APROBACION Y RECUERDO, Y ME UNO A USTED EN DICHA CELEBRACION. CONFIESO SIN EMBARGO QUE MIS BREVES COMENTARIOS NO SERAN UNA REPETICION CANSONA DE LOS ENCOMIOS Y ELOGIOS NORMALMENTE ASOCIADOS CON ESTE TIPO DE EVENTO, PUES SI BIEN NUESTRA CIUDADANIA ES MOTIVO DE CELEBRACION, TAMBIEN LO ES DE REFLEXION. TODOS SABEMOS QUE LA CIUDADANIA AMERICANA NOS LLEGO COMO RESULTADO DE LA LEY JONES APROBADA EL DIA 2 DE MARZO DE 1917. ESTE ESTATUTO, QUE CULMINOUNA LARGA BATALLA POLITICA COMENZADA EN 1901 BAJO EL PRESIDENTE MCKINLEY, TERMINO BAJO LA ADMINISTRACION DEL PRESIDENTE WILSON. EL PRESIDENTE WILSON HIZO SUYA DICHA PROPUESTA DESDE SU PRIMER MENSAJE AL CONGRESO, LO CUAL, A SU VEZ, NOS HACE PENSAR EN ALGUNOS DE LOS TEMAS CUBIERTOS EN SU PRIMER MENSAJE AL CONGRESO POR EL PRESIDENTE BUSH EL AÑO PASADO. EL TRASFONDO HISTORICO DE LA LEY JONES DEJA MERIDIANAMENTE CLARO QUE AL APROBARSE ESTA, Y AL CONCEDERSELE LA CIUDADANIA A LOS PUERTORRIQUEÑOS, SE QUERIA ESTABLECER, PRIMERO, QUE DE EN ADELANTE A PUERTO RICO Y A LOS PUERTORRIQUEÑOS LES SERIA TRATADO EN FORMA DIFERENTE QUE A LAS ISLAS FILIPINAS Y SUS HABITANTES, Y SEGUNDO, Y MAS IMPORTANTE AUN, QUE PUERTO RICO ESTABA DESTINADO EN FORMA PERMANENTE, A SER PARTE DE LOS ESTADOS UNIDOS. ERA, POR LO TANTO, LOGICO QUE A LOS PUERTORRIQUEÑOS, AL IGUAL QUE EN EL CASO DE OTROS TERRITORIOS ADQUIRIDOS EN FECHAS ANTERIORES POR ESTADOS UNIDOS, SE LES CONCEDIERA LA CIUDADANIA DEL PAIS DEL QUE PASABAN A SER PARTE PERMANENTEMENTE. 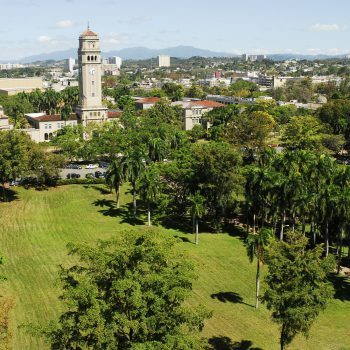 RESULTA ESTERIL E IMPRODUCTIVO DEBATIR, EN ESTA ETAPA DE NUESTRA HISTORIA, EL SI LA CIUDADANIA DE ESTADOS UNIDOS FUE IMPUESTA O SI ESTA CONDICION ERA ANHELADA POR LOS PUERTORRIQUEÑOS DE AQUELLA EPOCA. EL HECHO ES QUE LA LEYJONES PROVEIA PARA QUE AQUELLOS PUERTORRIQUEÑOS QUE NO LA QUISIESEN TUVIESEN LA OPCION DE RECHAZAR LA CIUDADANIA AMERICANA. LO CIERTO ES QUE MENOS DE 100 PERSONAS SE ACOGIERON A ESA ALTERNATIVA. ADICIONALMENTE, EL DERECHO INTERNACIONAL RECONOCE COMO UNA ACCION LEGITIMA LA CONCESION DE CIUDADANIA DEL PAIS ADQUIRIENTE, A LOS RESIDENTES DE TERRITORIOS ANEJADOS. 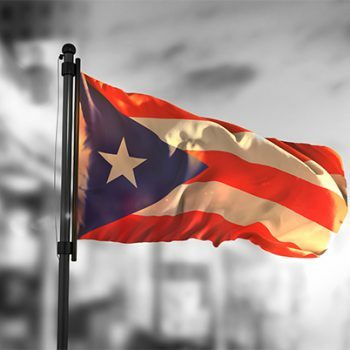 IRRESPECTIVAMENTE DE ESTOS TEMAS SUBSIDIARIOS DE POLEMICA, LA REALIDAD ES QUE LA INMENSA MAYORIA DE LOS PUERTORRIQUEÑOS ACOGIO CON BENEPLACITO LA CONCESION DE CIUDADANIA BAJO LA LEY JONES PORQUE ENTENDIAN QUE DICHA CONDICION LOS PONDRIA EN UN STATUS DE MAS IGUALDAD CON SUS CONCIUDADANOS CONTINENTALES, YPORQUE CONSIDERABAN QUE ESTE SERIA UN PASO, MAS O MENOS TEMPORERO, A LA CONCESION DE IGUALDAD TOTAL DENTRO DE LA UNION ESTADOUNIDENSE. HAY QUE TENER EN MENTE QUE ESTA SITUACION OCURRE CON EL TRASFONDO DE LA CARTA AUTONOMICA DE 1898, BAJO LA CUAL ESPAÑA, POCO ANTES DE LA INVASION AMERICANA A PUERTO RICO, LE CONCEDIO A LOS PUERTORRIQUEÑOS NUEVAMENTE EL DERECHO A VOZ Y VOTO EN LAS CORTES ESPAÑOLAS. Y DIGO NUEVAMENTE, PORQUE USTEDES SABEN QUE BAJO LA CONSTITUCION DE CADIZ DE PRINCIPIOS DE SIGLO 19 LOS PUERTORRIQUEÑOS NO SOLO ERAN CIUDADANOS ESPAÑOLES, SINO QUE ELEGIAN Y ENVIABAN REPRESENTANTES CON VOZ Y VOTO AL PARLAMENTO ESPAÑOL. COMO HECHO HISTORICO UN PUERTORRIQUEÑO, RAMON POWER, FUE SU PRIMER VICEPRESIDENTE. ASI PUES, ERA RAZONABLE QUE LOS PUERTORRIQUEÑOS CREYESEN QUE LA LEY JONES ERA UN PASO HACIA LA EVENTUAL IGUALDAD TOTAL DENTRO DE LA UNION CON LOS ESTADOS UNIDOS. Y TODO INDICABA QUE ASI SERIA, EXCEPTO QUE NO HABIAN CONTADO CON EL TRIBUNAL SUPREMO DE ESTADOS UNIDOS, CUYA COMPOSICION PARA EL AÑO 1922, CUANDO SE DECIDE EL CASO MAS CRUCIAL EN LA HISTORIA POLITICA DE PUERTO RICO, PUEBLO V. BALZAC, ERA DE CORTE SUMAMENTE CONSERVADOR, ESPECIALMENTE EN LO REFERENTE A SUS ACTITUDES HACIA LOS TERRITORIOS ADQUIRIDOS DE ESPAÑA. EN DICHO CASO EL TRIBUNAL SUPREMO DICTAMINO POR VOZ DEL JUEZ TAFT, EX-GOBERNADOR DE FILIPINAS, QUE LA CONCESION DE CIUDADANIA A LOS PUERTORRIQUEÑOS SOLO QUERIA DECIR QUE PODIAMOS MOVERNOS LIBREMENTE A ESTADOS UNIDOS Y ALLI TENDRIAMOS DERECHOS IGUALES A LOS DE EL RESTO DE LA NACION, PERO QUE MIENTRAS PERMANECIERAMOS AQUI EN PUERTO RICO, SOLO NOS PROTEGERIAN CIERTOS DERECHOS, LLAMADOS “FUNDAMENTALES,” BAJO LA CONSTITUCION DE ESTADOS UNIDOS. ASI PUES, POR FIAT JUDICIAL SE ESTABLECIO EL CONCEPTO INUSITADO Y NOVEL DE LA CIUDADANIA INCOMPLETA, O SEA, UNA CIUDADANIA AMERICANA CON MENOS DERECHOS QUE EL RESTO DE LA NACION. ESTE ES UN CONCEPTO UNICO NO SOLO BAJO LA HISTORIA DE ESTADOS UNIDOS HASTA ESE MOMENTO SINO, SEGUN MI MEJOR ENTENDER, EN LA HISTORIA DE OTROS GOBIERNOS TAMBIEN. NO OBSTANTE ESTA SITUACION ALTAMENTE NEGATIVA, TODOS SABEMOS QUE LA CIUDADANIA QUE HOY CELEBRAMOS HA SIDO DE GRAN BENEFICIO PARA EL PUEBLO DE PUERTO RICO. ENTRE LOS DERECHOS FUNDAMENTALES QUE NOS COBIJA BAJO LA CONSTITUCION AMERICANA ESTAN EL DERECHO A LA LIBRE EXPRESION, LA LIBERTAD DE PRENSA, LA LIBERTAD DE CULTO, EL DERECHO A JUICIO IMPARCIAL Y PUBLICO, Y EL DERECHO AL DEBIDO PROCEDIMIENTO DE LEY. ADICIONALMENTE, NO CABE DUDA QUE PUERTO RICO Y SUS HABITANTES SE HAN BENEFICIADO GRANDEMENTE EN OTROS RENGLONES, ESPECIALMENTE EN LO QUE SE REFIERE AL ESTANDAR DE VIDA, COMO RESULTADO DE SU RELACION CON ESTADOS UNIDOS. ES POR ESO QUE TENEMOS UN ALTO PORCENTAJE DE LONGEVIDAD COMPARADO MUNDIALMENTE, Y NUESTROS INGRESOS PER CAPITA SON SEGUNDOS SOLO A CANADA Y ESTADOS UNIDOS EN TODO EL HEMISFERIO. NO ES NECESARIO ABUNDAR SOBRE ESTE TEMA YA QUE TODOS ESTAMOS CONSCIENTES DE LAS VENTAJAS QUE HEMOS RECIBIDO LOS PUERTORRIQUEÑOS AUN BAJO NUESTRA CONDICION DE CIUDADANOS SEMI-COMPLETOS. POR OTRO LADO, NO SE PUEDE TAPAR EL CIELO CON LA MANO, Y LA REALIDAD ES QUE SIEMPRE SEGUIMOS SIENDO DE LOS ULTIMOS EN LA NACION AMERICANA EN CASI TODOS LOS RENGLONES QUE MARCAN EL PROGRESO ECONOMICO Y SOCIAL, Y QUE RECIBIMOS TRATO INFERIOR Y DESIGUAL CON RELACION A MUCHOS DE LOS BENEFICIOS CONCEDIDOS BAJO LOS DIVERSOS PROGRAMAS NACIONALES. PERO SABEMOS QUE NO SOLO DE PAN VIVE EL HOMBRE. MAS IMPORTANTE, EN MI OPINION, QUE LA DESIGUALDAD ECONOMICA LO ES LA FORMA EN QUE ESTE ESTADO DE DESIGUALDAD CIUDADANA HA AFECTADO NUESTRA CONDICION DE PUEBLO Y LA PSIQUIS COLECTIVA DE LOS PUERTORRIQUEÑOS. NOS DICE EL LIC. JOSE TRIAS MONGE, SIENDO PRESIDENTE DEL TRIBUNAL SUPREMO DE PUERTO RICO, EN SU CONOCIDO LIBRO, HISTORIA CONSTITUCIONAL DE PUERTO RICO Y CITO: EXTRAÑO ES EL TREN, DE DESTINO INCIERTO, EN QUE HA VENIDO VIAJANDO EL PUEBLO DE PUERTO RICO. SUS RUEDAS SE MUEVEN INCESANTEMENTE, PERO EL PUNTO DE PARTIDA PARECE QUE NO SE ALEJA DEMASIADO. A VECES EL FERROCARRIL RETORNA AL MISMO SITIO. A RATOS QUEDA INMOVIL, EN UN ANDEN CUALQUIERA, COMO LOS TRENES, SOLITARIOS Y NOCTURNOS, DE PAUL DELVAUX. ES HORA DE DESCENDER, AUNQUE SEA POR POCO TIEMPO, Y PENSAR SOBRE LA NATURALEZA DEL VIAJE. EL PUEBLO PUERTORRIQUEÑO SE CUENTA ENTRE LOS PUEBLOS MODERNOS DE MAS LARGA HISTORIA COLONIAL EN EL MUNDO. TRISTEDISTINCION. EL FENOMENO HA DEJADO HUELLAS EN NUESTROS VALORES Y ACTITUDES. EL PUEBLO DE PUERTO RICO ES UN PUEBLO NOBLE Y LEAL. A PESAR DE SU CONDICION DE DESIGUALDAD HA DEFENDIDO LOS PRINCIPIOS DE LA CIUDADANIA AMERICANA Y LA GRAN NACION A QUE PERTENECE. SI BIEN SOMOS DESIGUALES EN DERECHO, NO SOMOS DESIGUALES DE HECHO, SI ACASO, SOMOS MEJOR PUES NOS ENTENDEMOS EN DOS LENGUAJES, NOS ADAPTAMOS A LO MEJOR DE DOS CULTURAS Y HACEMOS NUESTRO LO MAS AVANZADO DE LOS DOS SISTEMAS LEGALES DEL MUNDO MODERNO. Y CUANDO LA SANGRE DE NUESTROS PADRES, HIJOS Y HERMANOS SE HA DERRAMADO EN LOS CAMPOS DE BATALLA EN DEFENSA DE LOS DERECHOS SUPERIORES DE LOS CONCIUDADANOS DEL CONTINENTE, NUESTRA SANGRE NO HA SIDO MENOS ROJA QUE LA DE ELLOS NI HA SIDO MENOS NUESTRO DOLOR. CONCIUDADANOS PUERTORRIQUEÑOS, HA LLEGADO LA HORA, COMO DIJO EL LICENCIADO TRIAS MONGE, DE DESCENDER AUNQUE SEA POR POCO TIEMPO DEL FERROCARRIL Y REFLEXIONAR SOBRE LA NATURALEZA DE NUESTRO VIAJE.